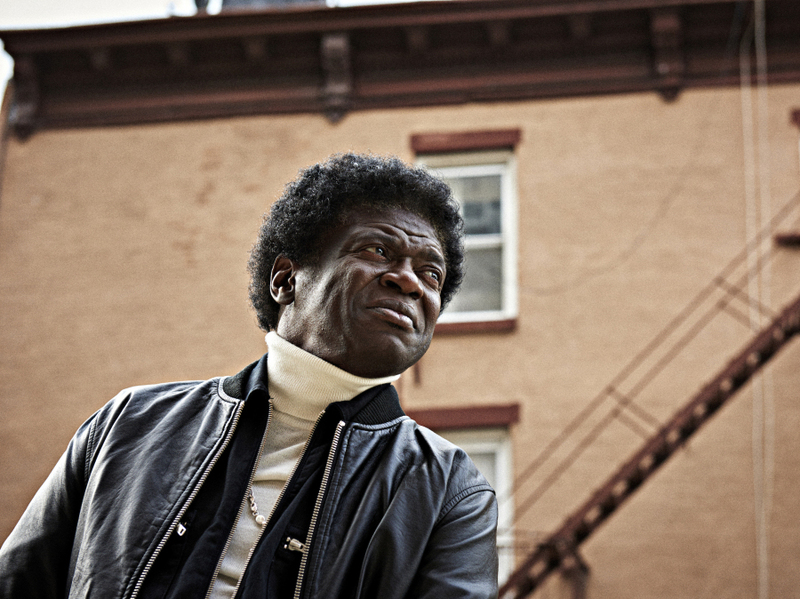 Two albums into the most unlikely soul career of the millennium, Charles Bradley has neatly pivoted away from the hard-luck life story told in the documentary Soul of America, and toward a comparatively ordinary task: Creating a book of believable songs that showcase his unique vocal style. This turns out to be a significant challenge. The 67-year-old singer’s last album, 2013’s Victim of Love, was a tad too reverent in its deployment of mid-’60s Stax/Volt tropes. It celebrated soul-revue generica in all its forms — at times, it was redeemed only by Bradley’s instant-on vocal drama and the buttoned-up arrangements of the Daptone crew. It was a pitch-perfect period piece, and it raised questions about how restrictive these revivalist endeavors can ever be: If you’re a great singer, and make no mistake Bradley is that, at what point are you limited by genre, the fastidious re-creation of a quaint classic style? Bradley’s third album, Changes, continues in the general path of his previous work, with some key alterations. The rhythms inch closer to modernity, and the material suggests Bradley and his songwriting partners in the Menahan Street Band recognize there’s a limit to how many visits he can make to the well of autobiographical woe. The lyrics are a touch more upbeat — there are songs celebrating the redeeming power of love alongside ones that chronicle devastation. The title track, a cover of the Black Sabbath tune Daptone offered as a Record Store Day trinket a few years ago, aligns well with Bradley’s hard-knock narrative, and it’s stunning. Bradley sings about unexpected twists in the road as though re-experiencing them as hyper-real and possibly haunting memories. He’s singing from deep within lingering emotions, yet somehow avoids sounding nostalgic — he gives each phrase, each new iteration of the “going through changes” testimony, a bracing resonance. If you want to make the argument that soul music transcends time and genre, play this. The album opens with a short spoken preamble from Bradley, and then a verse of “God Bless America” that nods affectionately to Ray Charles. Then comes “Good To Be Back Home,” which finds Bradley giddily enthusiastic about returning to the U.S., the place of so much previous misery for him, after a tour. The groove sits on the front edge of the beat, and its wound-tight temperament contrasts with tremolo guitars and the renegade bleats of a horn section that’s been saturated with trippy jam-band effects. This particular sonic mashup sounds gaudy on paper; as a framework for Bradley’s earnest phrasing, it’s genius. That track and the swampy “Ain’t Gonna Give It Up” show just how far Bradley has come since 2010, when Daptone’s Gabriel Roth discovered him working as a James Brown impersonator known as Black Velvet. Bradley’s developed into an authoritative singer with more than just a trademark “screaming eagle” move. From the beginning, his voice itself authenticated the rough road miles of his life; now, to go along with that, he’s added a sharp sense of timing, a bit more dramatic range, and a crucial ability to convey desperation without laying it on too thick. The expanded skillset makes him a more effective storyteller. When, on an early verse of “Ain’t It A Sin,” he proclaims, “I try to be a righteous man, talk to the Lord most every day,” you believe him — first because of his raspy gravitas, then because of the intensity of his phrasing. Delivering the title line, he somehow he bundles together traces of ferocity, resignation, disgust, pride and anger all at once. Not all of the songs are as engaging as “Ain’t It A Sin” — a few pieces find the Daptone brain trust leaning too heavily on already overused R&B clichés, or engaging in the musical equivalent of mixed metaphor (see the horn section’s cheeky quote from Seals and Crofts’ “Summer Breeze”). At least those are the outliers. More often, the music pulses with 2016 energy, achieving an appropriate, and conceptually clever, balance of vintage and modern. It’s the perfect platform for a singer determined to make up for lost time, and Bradley seizes it, transforming the trappings of classic soul into music that’s thrillingly, undeniably alive.